Don’t let their small size fool you. Lhasa Apsos are tough, protective, devoted dogs. Once kept as small watchdogs in Buddhist monasteries in Tibet, the Lhasa today still takes his role of watchdog seriously. He will carefully check out any stranger that tries to set foot in your home. With family, Lhasas are affectionate and loving. They get along well with other family pets, too, including cats. Lhasa Apsos have a beautiful long coat that comes in many colors. It requires care to keep it looking good. Some owners choose to keep their dogs in a shorter pet trim. 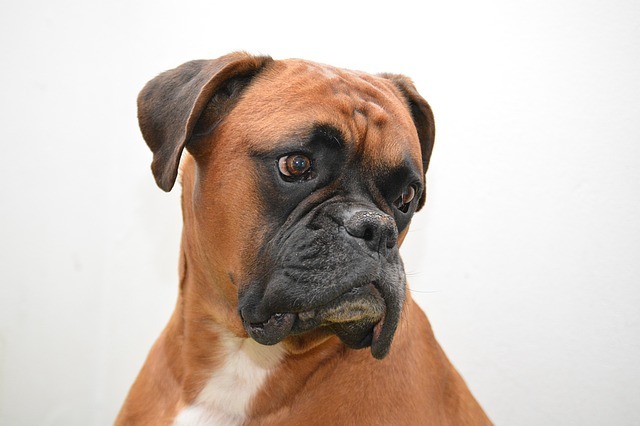 Despite a few possible health problems, the breed is considered to be very healthy overall. The median lifespan for Lhasa Apsos is over 14 years. Feeding your Lhasa a good diet can help him live a long, healthy life. Keep reading and we can help you choose the best dog foods for Lhasa Apsos. What kind of diet should you feed your Lhasa Apso? How much should you feed your Lhasa Apso? 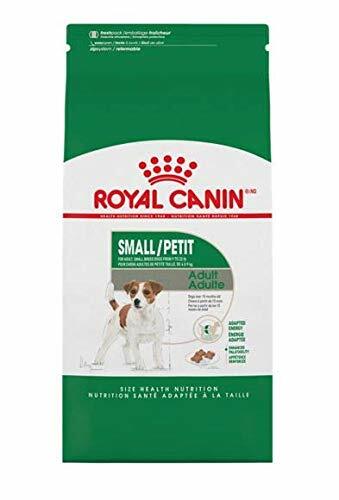 Our top pick for the best dog food for Lhasa Apsos is Royal Canin Health Nutrition Small Adult Dry Dog Food. Royal Canin has several product lines including a line based on breed size. 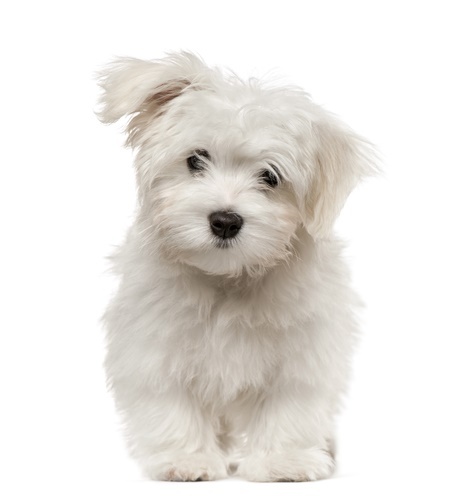 Small dogs, like Lhasa Apsos, can burn up more calories per pound than bigger dogs. Ideal levels of EPA and DHA give your Lhasa Apso a healthy skin and coat. Plus, the kibble formula can help reduce the formation of tartar. If your dog has a food allergy or sensitivity or another health issue that makes it difficult for him to eat foods that contain grains, work with your veterinarian to select the best dog food for your Lhasa Apso. The foods we are recommending are what we believe are the best dog foods for Lhasa Apsos. Most Lhasa Apsos should be able to eat a normal diet for dogs. Most dogs need similar nutrients in their diet unless they have a health problem. Your adult Lhasa Apso needs a minimum of 18 percent protein in his diet for daily maintenance. A pregnant/nursing dog and puppies need a minimum of 22 percent protein in their diets. Most dog foods today have higher protein percentages than these levels but your dog doesn’t need a huge protein percentage. High protein sounds great but if your dog is getting more protein than his body needs, he will excrete the excess in his urine. If you are buying a super expensive, high protein dog food, your dog could be urinating much of that money away. Many grain free dog foods have extremely high protein percentages. Dog lovers often believe they are providing their dogs with lots more protein than with traditional dog foods. However, in most cases the increased protein in these grain free dog foods comes from plant sources such as peas, legumes and lentils. These are the ingredients that the FDA is currently investigating because of a possible link to dilated cardiomyopathy in dogs. We recommend that you feed your Lhasa Apso a food with moderate protein that relies on meat protein. Look for dog foods that have a protein percentage between 22 and 26 percent. Fat is good for your dog. It makes his food taste better; calories from fat give him energy; and fatty acids are good for your dog’s skin, coat, and organs. Some vitamins can only be absorbed from fat. Adult dogs need a minimum of 5 percent fat in their diet. Pregnant and nursing dogs and puppies need a minimum of 8 percent fat per day. 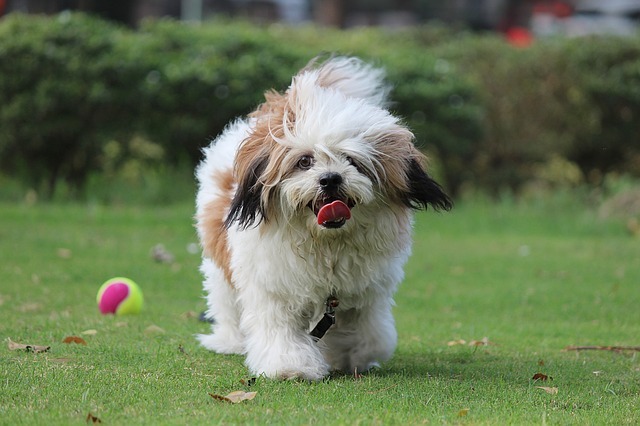 We recommend a fat percentage of about 12 to 16 percent for Lhasa Apsos. This is considered to be a moderate fat level. While many dog lovers have been taught to believe that carbs are bad for dogs, they actually perform many important functions. They are not “filler ingredients” or empty calories. They are another source of energy for your dog, along with fat. They can be a source of fiber. And they can provide nutrients. Simple sugars and starches from carbs help your dog’s brain function. Fibers helps regulate your dog’s gastric system. Fiber can be either soluble or insoluble. You will often see soluble fiber on a dog food ingredient list in the form of chicory, beet pulp, and inulin. This kind of fiber draws more water into your dog’s digestive system, turning stomach contents to gel and slowing the digestive process. Insoluble fiber adds bulk to the digestive matter and helps speed digestion. Most kibbles today have somewhere between 3 and 6 percent fiber. If your Lhasa Apso is having loose stools it could be because there is too much fiber in the food for his system. You can try changing to a food that has less fiber and see if it solves the problem. Conversely, if your Lhasa seems to be constipated, you can try changing to a food that has a little more fiber. Remember to please see a veterinarian if any digestive problem is causing your dog distress. Prebiotics and probiotics help keep your dog’s gastrointestinal system functioning, as well as strengthening the immune system. Prebiotics are a dietary fiber that encourages the growth of “good” or beneficial bacteria in your dog’s digestive system. Chicory and inulin are prebiotics that are often added to dog foods. Probiotics are living microorganisms that are sometimes added to dog food to “colonize” your dog’s digestive system. They can add millions of helpful bacteria to your dog’s system. If your Lhasa Apso has a health problem and he can’t eat a grain-inclusive dog food, talk to your vet about what kind of food to feed your dog. Food allergies are not as common as many dog lovers believe but they do occur. Even in dogs with food allergies, grains area not the most common allergen. If you think your dog has a food allergy or sensitivity, it’s best to talk to your veterinarian and have your dog diagnosed instead of trying a lot of different dog foods that your Lhasa may not be able to eat. Trying lots of foods that your dog can’t eat can inflame his digestive system and make things worse. According to many sources, your biggest problem in feeding your Lhasa Apso may be coping with his fussy eating habits. It’s not always easy to find a food that these dogs will like. You might have to try several different dog foods before you find one that your Lhasa will eat. And, if there’s a change in the ingredients you could have to start all over looking for a new favorite food. The good news is that Lhasa Apsos don’t usually become overweight since they are so particular about their food. An occasional dog may overeat or have weight problems but it’s not something that’s common in the breed. Some Lhasa Apsos can have a problem with sebaceous adenitis (SA). This is an inflammatory skin condition that is often associated with Standard Poodles. With SA, the dog’s immune system attacks their sebaceous (oil) glands, leaving a silvery dandruff, a brittle coat, a musty odor, and skin lesions. Lhasa owners sometimes mistake this condition for a food allergy but it’s not food-related. If you see this problem with your dog you should consult your veterinarian for a treatment plan. There are many shampoos and other products that can help with it. Your vet can also prescribe antibiotics. Some experts recommend feeding dog foods that emphasize Vitamins A and E, as well as omega fatty acids to support the skin and coat. You can expect a mature Lhasa Apso male to be about 10-11 inches tall at the shoulder; a female will be slightly smaller. Lhasas will weigh between 12 and 18 pounds as adults. Since dog foods vary, it’s best to use calories to determine how much to feed your dog instead of cups or some other measurement. A three-month-old Lhasa that weighs 3 kg (about 6.6 pounds) would need about 479 calories per day. A six-month-old Lhasa Apso that weighs about 5.5 kg (about 12 pounds) would need about 503 calories per day. At one year, as an adult, your Lhasa Apso might weigh 7 kg (about 15.4 pounds) and he would need about 542 calories per day. These are only estimates. Your puppy could weigh slightly more or less. You will need to adjust his calories based not just on his weight but on his condition. 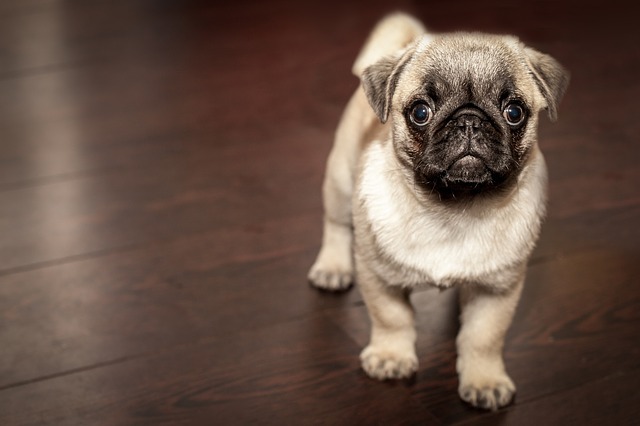 If your puppy looks too thin or too pudgy, you can make small changes in how much food you are feeding him. 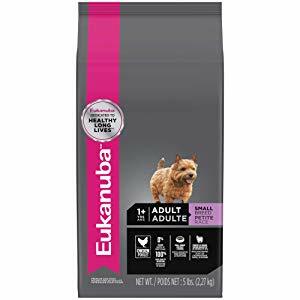 Eukanuba Small Breed Dog Food is specially formulated for the higher metabolism of small dogs. It also has a specialized fiber system made from natural beet pulp and prebiotic FOS (a natural sugar). These fibers encourage better nutrient absorption and healthier digestion. Eukanuba Small Breed Dog Food contains naturally-sourced glucosamine and chondroitin to support healthy joints. This formula also features optimal levels of omega 6 and omega 3 fatty acids to promote healthy skin and coat. Plus, the kibble is smaller so it’s ideal for your Lhasa when eating it. 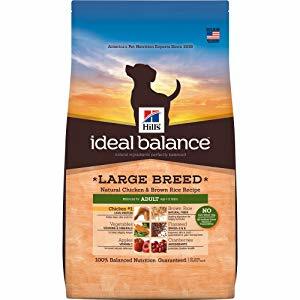 Hill’s Ideal Balance small Breed Natural Chicken & Brown Rice Recipe for adult dogs features chicken as the first ingredient. Brown rice provides natural fiber for healthy digestion. This food does not contain any corn, wheat, or soy; and it has no artificial colors, flavors, or preservatives. This formula includes omega 3 and omega 6 fatty acids to improve your Lhasa’s skin and coat. Hill’s offers a money back guarantee that your dog’s skin and coat will be improved. Victor dog food has become extremely popular in the United States in recent years. Many people swear by it. The food has also been testing well with dogs that have been tested for dilated cardiomopathy despite being a relatively small company. 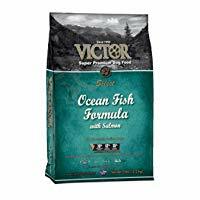 We can recommend some of their dog foods with grains such as Victor Ocean Fish Formula with Salmon. This is an all life stages food with fish as the single source of meat protein. Seventy-three percent of the protein in the food comes from fish. 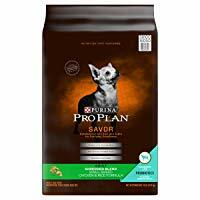 This is a good food for dogs that might have allergies to other meat proteins. This food contains no corn, wheat, soy, or gluten, though it does contain peas as the fifth listed ingredient in the food. Lhasa Apsos are smart, funny, devoted dogs. 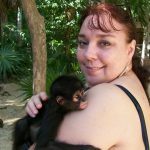 They make wonderful pets and get along well with other pets in the home. They are also good watchdogs, alerting you to anyone who dares to approach your door. Once accepted, a Lhasa is happy to welcome your friends. These little dogs are one of the oldest breeds. It’s easy to see why they have been beloved for so long. We hope that the information provided here will help you select the best dog foods for Lhasa Apsos.